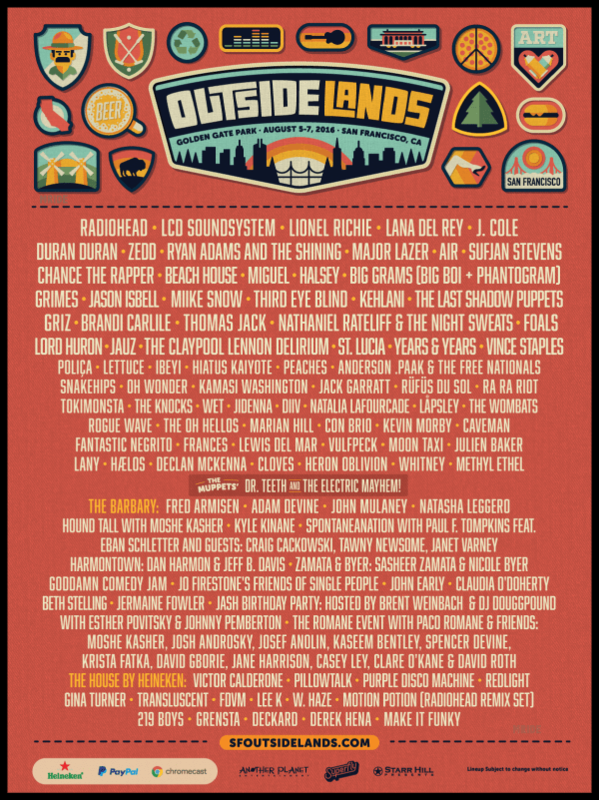 Outside Lands Music Festival will be here before you know it! 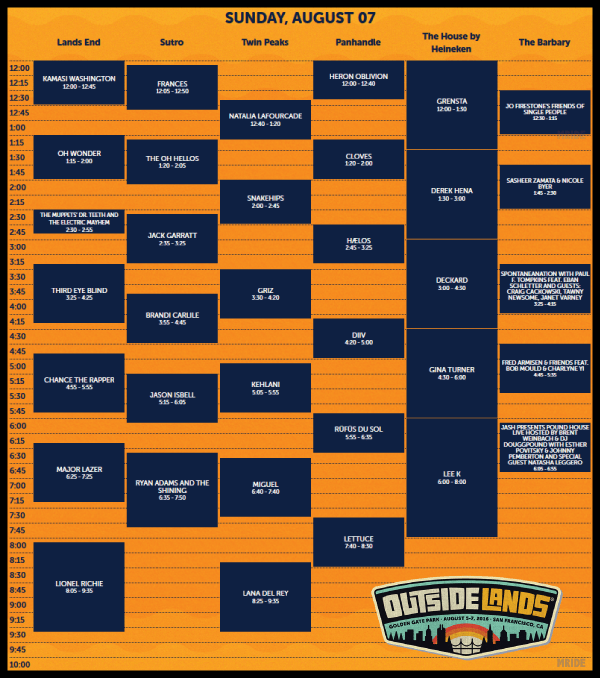 With so many good artists and so many steps between stages, planning your days will make sure that you don’t miss any acts that you really want to see. 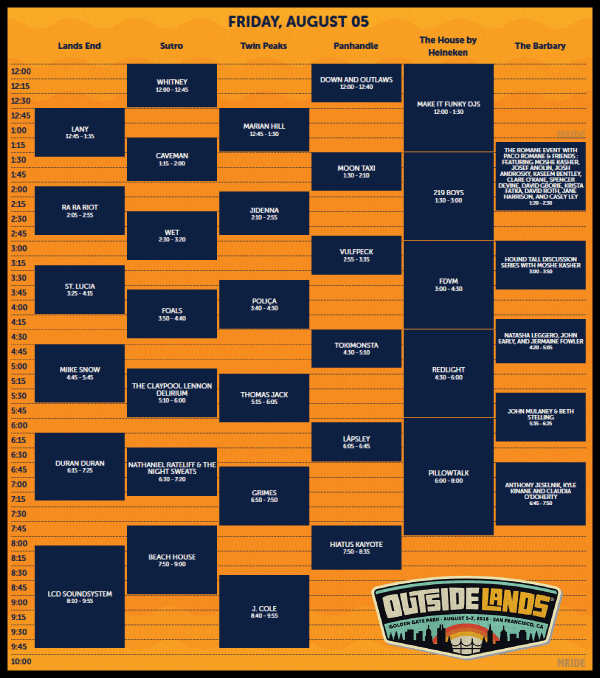 Unfortunately, the “less is more” approach will give you a lot more enjoyment than trying to catch every band, so pick a few favorites each day and take some time to explore the other cool parts of the festival as you stroll from stage to stage. With LCD Soundsystem, Lionel Richie and Radiohead headlining the festival, the main stage each night will be overflowing with people, so if you want to get even remotely close, you will either need to stake out your spot early or upgrade to some VIP Tickets to take advantage of the special viewing area. -Besides dancing it up to sounds of your favorite bands and DJS, don’t forget to check out Wine Lands, Choco Lands, Creative Food at GastroMagic, Comedy at The Barbary and more! -Make getting to and from the festival easy with the M Ride Outside Lands Shuttle Bus, offering round-trip rides from the Marina and Union Square. CLICK HERE FOR DETAILS. 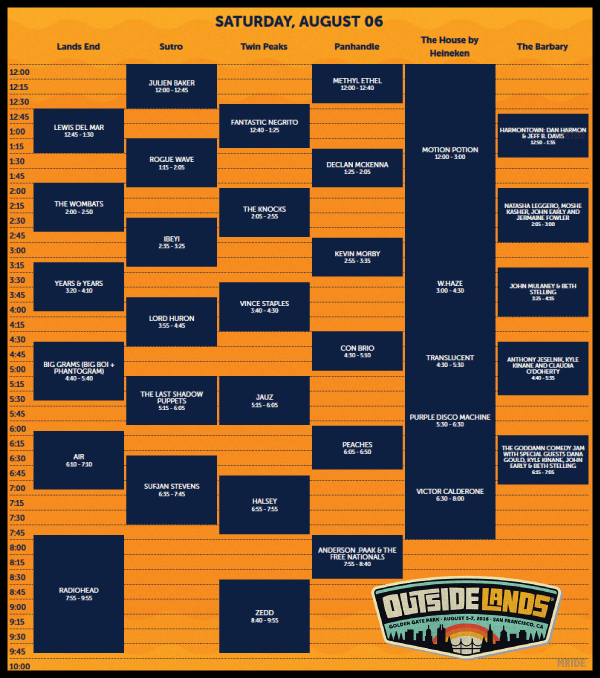 -Check out the Outside Lands Secret Shows and After Parties.